At Sea Mills Primary School we follow the ‘Letters and Sounds’ programme from Nursery to Y ear 2, to help get children off to a good start with reading and writing. By teaching phonics we aim to ensure that our children quickly develop the skill of matching sounds to letters or groups of letters which will enable them to feel confident readers and writers. There are 6 phases to ‘Letters and Sounds’ which begin in Nursery with the aim of the children successfully completing Phase 6 by the end of Year 2. When teaching the phases, teachers will include a variety of games within their phonics lessons to provide a fun and multisensory approach. Phase 1 begins in Nursery where we play games to develop our speaking and listening skills to help lay the foundations for Phase 2. Phase 1 is broken down into seven aspects. These aspects are not taught in any order but are dipped into, providing a balance of activities depending on the children’s needs. They are taught alongside a broad and enriched curriculum which has speaking and listening at its centre. The children begin to learn phoneme (letter sound) and grapheme (shape of the letter or a group of letters) correspondences. As soon as a set of letters is taught, the children will learn and practise to blend and segment these letters in words to develop reading and writing skills. Phase 2 begins in Reception. When the children have acquired the skills of blending and segmenting the 19 phonemes in Phase 2, they are taught Phase 3. Phase 3 is introduced in Reception. Phase 5 is introduced in Reception. In Phase 4 no new sounds are taught. The aim of this phase is to consolidate the previous phases and practise reading and writing word with adjacent consonants such as: sweet, trick, tent, wind. They will learn the following new sounds. Phase 6 is taught in Year 2.During this phase children become fluent readers and increasingly accurate spellers. They should already be able to read hundreds of words. 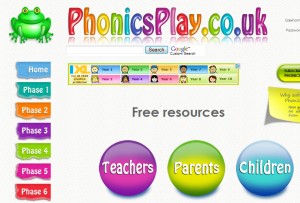 They will recognise phonic irregularities and learn less common sounds. They will be taught past tense, suffixes, prefixes and how to spell longer words. Read with and to your child. Encourage children to speak in full sentences. Flash cards- show children sound cards, key word cards and see how quickly they can read them by sight. Encourage children to write for a purpose e.g. write a postcard when on holiday; write a letter to teacher/parents, shopping/present lists, reminders etc. Pick out letters, sounds and words in the environment. Having familiar words around the house and in children’s bedrooms will help them memorise the spellings. 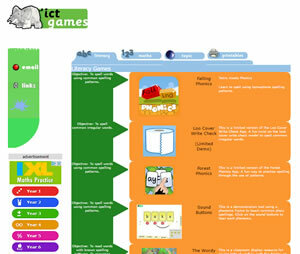 www.ictgames.com Loads of free resources for children to access as well as information for parents on the six phases of Letters and Sounds. 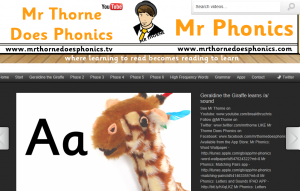 Mr Thorne talks through sounds in each phase as well as alternative spellings and high frequency words. 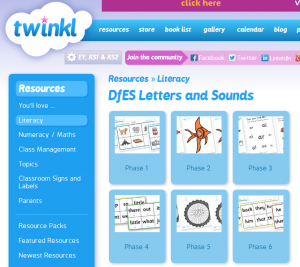 Twinkl is a website full of resources for each phase that can be used as visual aides to teach and remind children of sounds and tricky words.